When I was pregnant with Libby, my morning sickness consisted of being sick every morning, after which I felt pretty much ok for the rest of the day. This time I unfortunately haven’t been so lucky. I knew my morning sickness was going to be worse this time when I felt ill really early on in the pregnancy, probably at about 5 weeks. 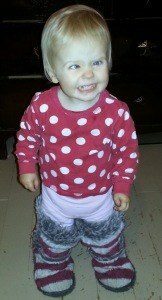 I was feeling nauseous all the time and being sick at random times during the day, which made looking after a 16 month old (and associated nappy changing) a total nightmare. I was lucky enough to be sent a couple of boxes of the delicious Lillipops iced soothies to try. These are ice-pops made of natural ingredients with no artificial colours or sweeteners. They are specially formulated for pregnancy and can help with a dry mouth and indigestion. Early on, these were enough to sooth my morning sickness too. During the latter part of my pregnancy with Libby, I suffered terribly with indigestion and ice pops were the only thing that helped. 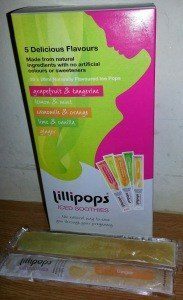 This time I will definitely be using Lillipops to help during the third trimester. As time has gone on this pregnancy, I haven’t been able to manage my morning sickness as well as working and looking after Libby. The doctor prescribed me phenergan, which I take morning and evening. This has helped a lot with the morning sickness and although I’m still not feeling great, I’m coping a lot better. As for Libby, how does she feel about being a big sister? I don’t think she quite understands!